Have you noticed that when things go wrong in our lives, our human nature wants to lash out. It wants other people to share our pain. To do this we sometimes attempt to place a burden of guilt and blame on others that they are not meant to carry. We want them to hurt like we do. Which is actually rarely true. Usually we have played our part too. It not only destroys us. It attempts to destroy others’ lives. Blame can be devastating to those who carry it as well as those we try and inflict it on. Blame wants others to pay for our difficulties. It makes us bitter, vengeful and angry. We want others to take responsibility for our pain. Hoping that blaming others may lessen our hurt, excuse our own behaviour and enable us to find closure. But instead blame perpetuates and multiplies our hurt, pain, anger and frustrations. It usually changes nothing. It just makes things worse for everyone, our wounds become even more raw and painful. It instead re-opens and infects wounds. When we fall over and cut our knee, we have to let it heal. We must let the scab form and allow it to do its work. If you keep pulling off the scab, the wound won’t heal and may well get infected. Constantly revisiting blame does the same thing. Blame makes healing impossible. Blame refuses to take any responsibility. As the fight for blame develops, everyone takes to their corner to defend themselves and in doing so becomes more firmly entrenched in their position. ‘It is all their fault’. This makes everything worse and makes reconciliation impossible. There is only one way to find closure, healing and freedom in the face of others mistakes. Grace allows no room for blame. It sees the faults in others and yet chooses to forgive and cover them. Grace reaches out to people in the midst of their errors and chooses love instead of hate. It brings peace instead of anger and humbles itself to acknowledge its own faults first. Grace and blame simply cannot co-exist: they are opposites. 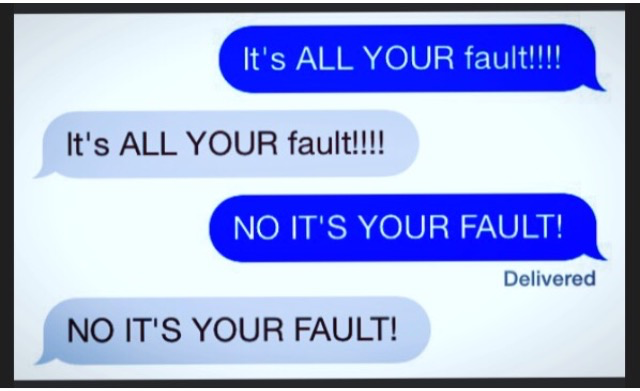 Blame is selfish. Grace is selfless. Blame pushes forward our ‘rights’. Grace lays down our ‘rights’. Both blame and grace are powerful forces. Blame chains us up. Grace instead unwraps the chains that blame and guilt wrap around us, breaking them, one by one. This doesn’t mean the journey of grace is always easy. There is often pain in the humility and sacrifice it requires. This is because we have to let go of pride. Pride refuses to accept we might be wrong. We use pride to protect ourselves from our own, and others, mistakes, insecurities and vulnerabilities. Grace, on the other hand, often reveals our weakness, yet as we face them we also find healing. It loves us in our brokenness and allows that love to flow out, even to those we once blamed. Grace is the only way to freedom. But what do we do when someone has mistreated us and will not take responsibility? Does Grace mean that we don’t pursue justice? Does it blindly overlook mistreatment? Grace and justice co-exist and even compliment one another. I personally faced a situation when I was in hospital, a few months ago, that Matt and I believed was a matter of justice and we pursued it on those grounds. I referred to it in my 6 month injury update. A senior doctor dealt with a situation very rudely, with no element of understanding of the desperation I was in at that time. The next day, after he heard that we had made a verbal complaint to the Ward Sister, he tried to rectify the situation through intimidation, rather than any hint of understanding or remorse. He would not accept that he could have dealt with things differently. Even though I attempted to explain that I would have done things differently myself, if I wasn’t feeling so acutely unwell, in pain and mentally impaired at the time. Instead he persisted in blaming me, an unwell patient, for his behaviour and response. He would accept no responsibility, whatsoever, and felt completely justified. At the time it was truly horrible. This person I was trusting with my care, at one of my weakest and most vulnerable moments, was choosing arrogance and self preservation rather than compassion, care and understanding. In these times we have to look at the situation, look at our hearts and decide what we need to do. For Matt and I what happened was a justice situation and the behaviour needed to be challenged. Not just because of what was said to me but because of how this behaviour could be perpetuated to others even more vulnerable than I was. It wasn’t about blame. It was about challenging the inappropriate behaviour of someone who had a duty of care and responsibility. So we made a formal complaint. We still needed to guard our hearts. We still needed to hold onto grace and forgiveness. Otherwise, we would continue to be wounded by it. It takes a lot of wisdom to get the right balance between justice and grace. However, even when we feel the need to pursue justice we can still do that with a heart of grace rather than hate or blame. Justice is at its most powerful when it is delivered in the context of grace. Parenting: Grace and Justice combined. This combination is very evident in good parenting. If we overlooked all of our kid’s errors and misbehaviour, in the name of love and grace, and never gave any discipline, correction or consequences, they would never learn to take responsibility for their own actions. They would probably grow up to be selfish and undisciplined adults. However, good parents understand that we must deliver this discipline and teach justice from a place of unconditional love and grace. Then challenge and correction is about love rather than our need to pay back our children for their mistakes. We teach them that there is rightly consequences in the world, but we also teach them that we love them regardless of their behaviour. Justice is about responsibility but we can pursue that without falling into blame. We don’t pursue justice to inflict pain on the other person, or to make us feel better. We instead pursue justice because it is right, protects others and because it gives us all room to change and grow. There are times, however, when we may need to lay down our ‘right’ to justice so as to demonstrate grace. Those times take a lot of wisdom. Again it’s about what is going on in our hearts and the hearts of those who have caused pain or wronged us. Grace is one of the most powerful acts of kindness that there is. It is one of the most generous of gifts, for it will often choose mercy over justice. It chooses to lay down our ‘rights’ to show love to another and to allow them freedom from the guilt that blame attempts to place upon them. Grace always has more chance of bringing resolution than blame. This is because as we accept responsibility for our own failures first, it makes a way for reconciliation. People can learn from their mistakes and grow together. It then has the potential to open the way for a stronger relationship, which can be built on the firm foundations of humility and trust. I know I would rather be known as a bridge builder than a bridge burner. Are there areas of your life where you have been made bitter by blame? Do these areas bring peace or stress in your life? Can you recognise things that you need to take responsibility for before challenging someone else’s behaviour? 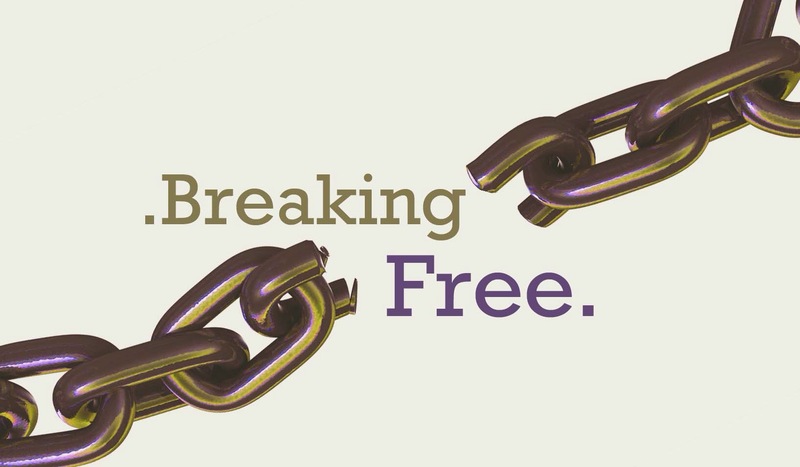 This post is part of my ‘Breaking Free!’ series of posts.